Prompted by declining memberships, the societies were merged to form the American Whig–Cliosophic Society in 1928. The organization's modern role is to serve as an umbrella organization for political and debating activity at Princeton, and is Princeton's largest student organization with over 500 members. The Society frequently hosts events open to all Princeton students, as well as to faculty and community members. These include the Society's signature monthly Senate Debates on topics related national or campus policy, lectures and discussion dinners with influential guest speakers, and social events. The Society also oversees four subsidiary groups: the International Relations Council (IRC), Princeton's Model Congress (PMC), Princeton Debate Panel (PDP), and Princeton Mock Trial (PMT). Originally two separate groups, Whig and Clio, as they have been known commonly for most of their history, grew out of two earlier student societies, the Plain Dealing Club (Whig) and the Well Meaning Club (Clio), founded about 1765 to promote literary and debating activities. Similar groups had appeared in other American colleges during the eighteenth century; most of them had been short-lived. Such was the fate of the Plain Dealing and Well Meaning Clubs; conflicts between the two groups led to their suppression in March 1769. Command of the subtler uses of the written and spoken word was a major instrument of professional and political success in the eighteenth as well as in the nineteenth century. Undergraduate interest in literary and debating activities, therefore, did not end with the dissolution of the clubs. The prime agent in their revival appears to have been William Paterson, later governor of New Jersey. After graduation in 1763, Paterson remained in Princeton to study law. During these years he maintained close contact with students, encouraging their more constructive activities. It seems to have been Paterson, along with a few other alumni, who persuaded the new president, John Witherspoon, to permit the formation of successors to the Plain Dealing and Well Meaning Clubs. The American Whig Society was born on June 24, 1769, and the Cliosophic Society on June 7, 1770. The name “American Whig” derived from the British Whig Party and a recent series of essays by a new trustee of the College, William Livingston, shortly to become first governor of the state of New Jersey. It signified adherence to ancient principles of British political and religious dissent, principles that later found concrete form in the Revolution and in the founding of the American Republic. The adjective “Cliosophic” seems to have been invented by Paterson. Signifying “in praise of wisdom,” it bears no relation to the muse of history. The years immediately preceding the Revolution were active ones for the societies. 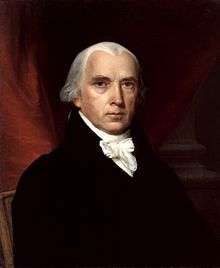 They afforded an arena in which many future leaders of the Republic, such as James Madison (Whig) and Aaron Burr (Clio) developed and sharpened the skills of persuasion, exposition, and cooperation (and conflict) with peers. The disruptions caused by the Revolutionary War brought a hiatus in the societies’ activities. Revived in 1781, they then entered their period of greatest influence and usefulness, one that extended to the 1880s. Housed at first in two small chambers in Nassau Hall, in 1805 Whig and Clio moved into more spacious apartments on the second floor of newly constructed Stanhope Hall. By the 1830s the societies had outgrown these rooms. They then constructed handsome wooden neo-classical halls for their own exclusive use, which were completed in 1838. The present marble halls, opened in 1893, are greatly enlarged copies of the buildings of the 1830s. Dormant during World War I, when the societies were revived in the early 1920s they faced a student generation largely indifferent to their traditional concerns. In an effort to attract interest, in 1925 the Polity, Law and Fine Arts Clubs, along with the Speaker’s Association, were absorbed into the Halls. However, interest continued to decline; in 1928 the two societies merged and moved into Whig Hall. In 1941 Whig Hall and the assets of the society were transferred to the trustees of the University, with the understanding that the building and funds were to be “used for purposes associated with undergraduate activities in the fields of public speaking, debate, conferences on public affairs, literature and journalism.” These were the main pursuits of the society over the succeeding three decades. In following them Whig-Clio sponsored successfully several subsidiary organizations, such as the Princeton Senate, the International Affairs Council, and the National Affairs Council. But from the 1930s on, Whig-Clio’s most conspicuous public role was in bringing important public figures to speak on the campus. Sometimes controversial, the speakers linked the undergraduates in a direct and personal manner to the wider world beyond Princeton. A friendly rivalry, however, continues to this day between Conservative and Liberal members, who consider themselves “Clios” and “Whigs”, respectively, and take their places on opposite sides of the Senate chamber, to adversarially continue the nearly two and a half century’s tradition of Parliamentary Debate. Whig-Clio continues to be the center of Campus debate, sponsoring the Princeton Debate Panel and Princeton Mock Trial Association, both of which have won distinctions of high caliber over the years, as well as the International Relations Council, Model Congress, and Woodrow Wilson Honorary Debating Panel. Whig-Clio has also continued in its tradition of annually bestowing the James Madison Award for Distinguished Public Service, which has, in recent years, resulted in public lectures from Honorees as prominent as former President Bill Clinton and Supreme Court Justice Antonin Scalia. Allison Berger '18 is the Society's current President. Recent past Presidents include Cydney Kim '17, Adam Tcharni '15, Matt Saunders '15, Cara Eckholm '14, Jay Parikh '12, Benjamin Weisman '11, Molly Alarcon '10, Devjoy Sengupta '09, Alec Williams '09, Aaron Spolin '08, Shriram Harid '08, Matthew MacDonald '07, Karis Gong '06, and Andrew Bruck '05. 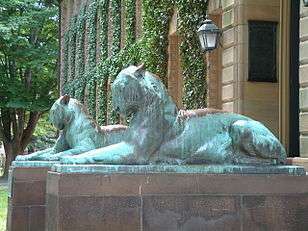 The Princeton Debate Panel is one of the world's top intercollegiate debating societies, and competes regularly against teams such as the Oxford Union, the Cambridge Union Society, and the Hart House Debating Club. It competes most frequently in the American Parliamentary Debate Association league, of which it is a founding member, and where it currently holds the record for most Team of the Year (TOTY), Speaker of the Year (SOTY), and Novice of the Year (NOTY) awards. It also won five National Championships and a record eight National Championship top speaker awards. It also hosted the World Universities Debating Championships three times. It also boasts famous alumni, including Supreme Court Justice Samuel Alito, prominent international relations scholar Joseph Nye, and diplomat John Foster Dulles. Princeton Mock Trial currently ranks among the top 10 mock-trial programs in the nation. It ranked 2nd in the American Mock Trial Association National Championship in 2013 and won the AMTA Regional Tournament held at Princeton in 2008. It has produced numerous AMTA All-Americans, including two at the most recent National Championships. It annually hosts a Moot Court tournament for high school students from throughout the Mid-Atlantic region. In the past half decade, the International Relations Council has grown to become the biggest subsidiary of Whig-Clio in terms of membership. It hosts Sunday weekly meetings for students to discuss international events and developments. It also sponsors two annual international affairs conferences: one for the high school level Princeton Model United Nations Conference (PMUNC) and one for the collegiate Princeton Interactive Crisis Simulation (PICSIM). PMUNC attracts some 1000 high school students from around the world. It has become a renowned conference in Model UN circuits. PICSim boasts a format unique to Princeton IRC: an innovative, crisis-driven international affairs simulation with 11 committees. The Princeton Model United Nations Team (PMUNT) has become one of the top 20 Model United Nations teams in North America in recent years. Currently, Princeton Model Congress offers high school students the opportunity to simulate the experience of serving in Congress, sitting on the bench as a Supreme Court Justice, counseling the Commander in Chief as a member of the Presidential Cabinet or covering the Federal Government in print as a part of the Press Corps. The conference draws approximately 1,200 participants from all across the political spectrum and from all over the country, and takes place just down the street from Capitol Hill. The Woodrow Wilson Honorary Debate Panel (WWHDP) sponsors and promotes prize debates at Princeton University. Incumbent to this purpose is the goal of not only rewarding but fostering top-caliber debate at Princeton. The WWHDP is not merely a mechanism for conducting prize debates but also an organization dedicated to promoting prize-worthy debating, replete with finely honed rhetoric, oratory, and argumentation. Annually-held debates and oratory contests include the Lynde Prize Debate, the Class of 1876 Memorial Prize for Debate in Politics, the Maclean Prize and Junior Orator Awards, the Walter E. Hope Prizes in Speaking and Debating, the Spencer Trask Medals for Debating, and the William Rusher ’44 Prize in Debating. Notably, Tina Ravitz, Class of 1981, was the Society's first female President. Cydney Kim '17 and Allison Berger '18 were the Society's first consecutive female presidents, serving in 2015 and 2016 respectively.